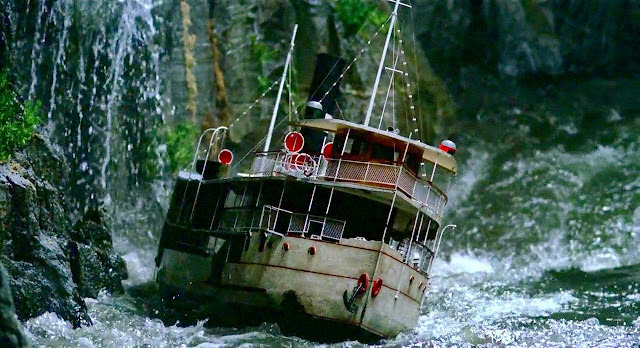 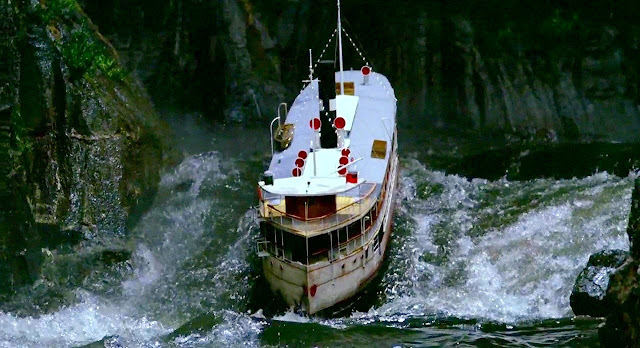 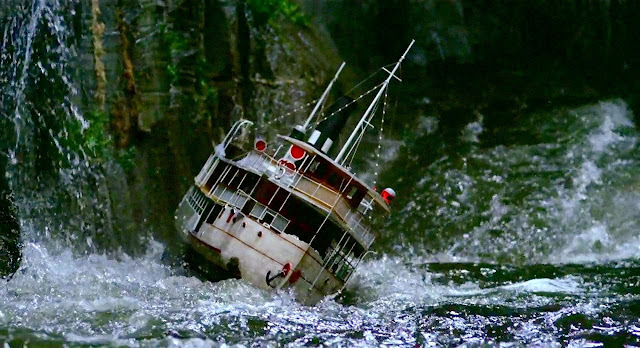 Despite the director Werner Herzog maintaining that everything in the film was shot for real there are a couple of model ship shots in the film and they are very well done. 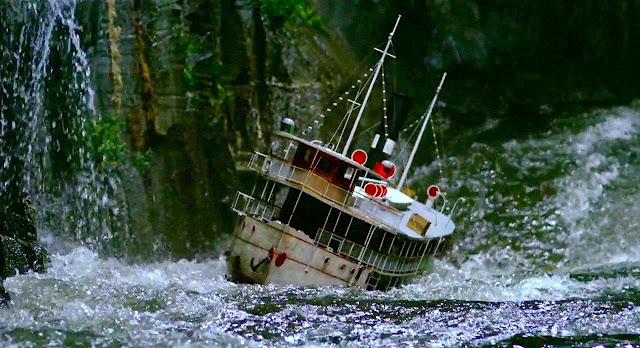 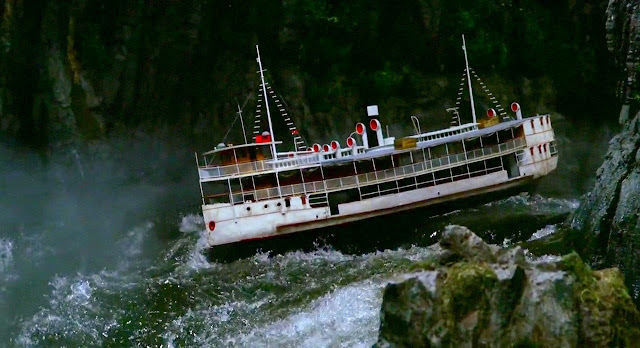 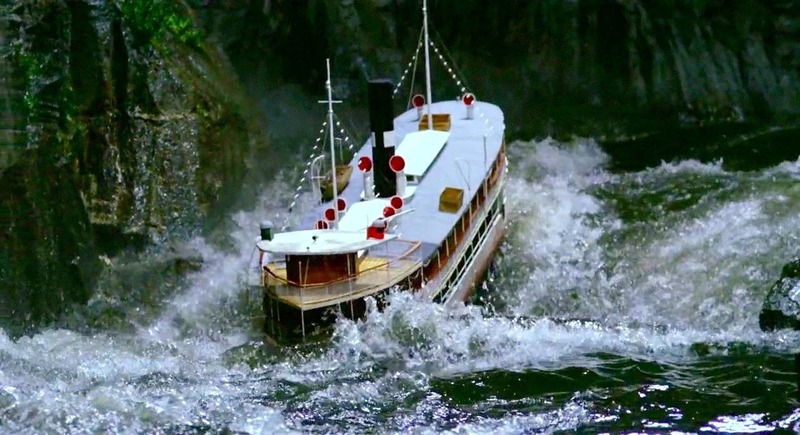 There must have been a miniature river rapids set built along with the scale model of the steamship. 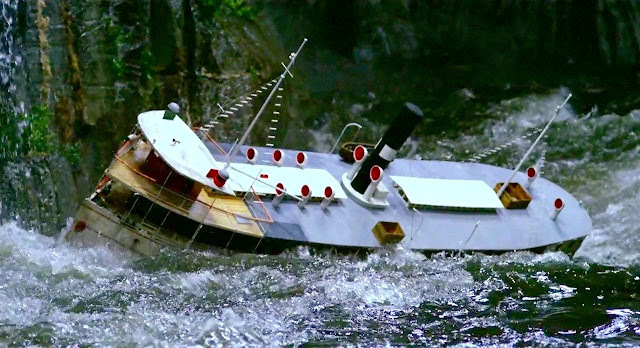 Unfortunately there is no credits for the miniature sequence. Berton Pierce, who made the wonderful documentary about the legendary modelmakers of blockbuster movies "A Sense of Scale", contacted me through the comments section. 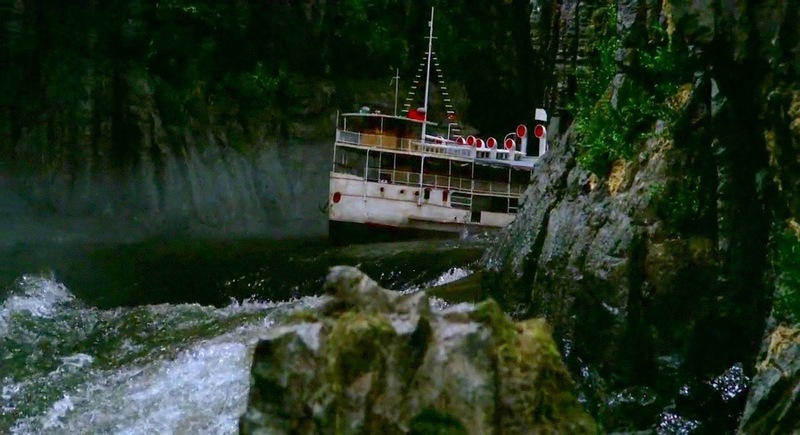 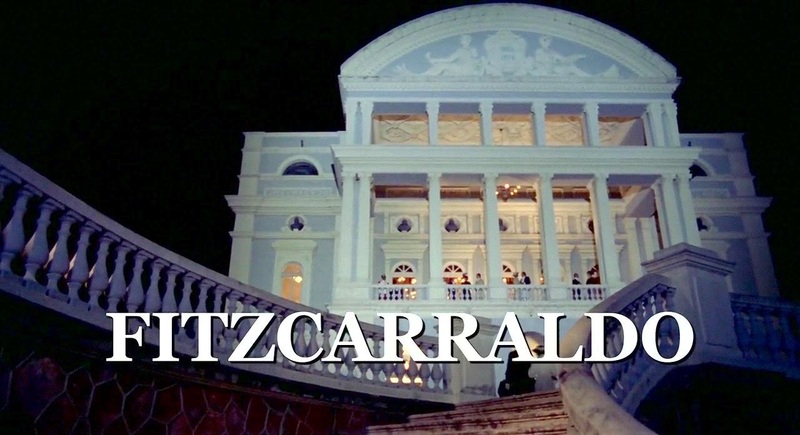 He has a couple of photographs he took at an exhibition in Germany that featured the miniature ship from Fitzcarraldo and here they are below. 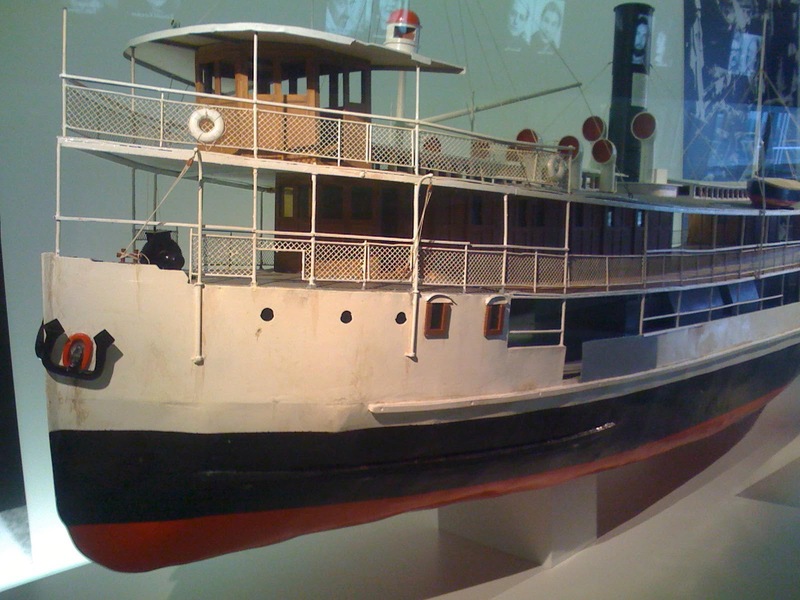 The first one is a behind the scenes photograph of the miniature shoot that was displayed alongside the model at the exhibition. 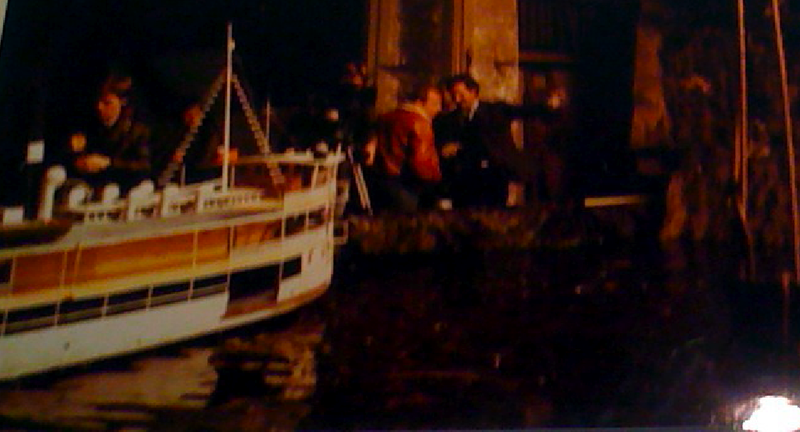 Although it is a bit blurry it does show the scale of the model with people in the scene. Berton's documentary can be purchased from Amazon and I thoroughly recommend it. He has produced a valuable record of a now dying art and even more than that, he has made an entertaining film that is chock full of my heroes talking about the subject I love...miniatures.